Earlier this year in May, I holidayed in Turkey with my family for a week. One of the places we visited was the ancient city of Ephesus near the Aegean Sea. It used to be one of the Seven Wonders and today the ruins are a major tourist attraction. Ephesus is a sacred site for Christians due to its historical and religious association to the Virgin Mary, St.Paul and St.John. The Virgin Mary was supposed to have spent her last days here and there is a beautiful small church with her shrine there. One of the most amazing things about this place aside from the history of the city and the church (I’m going to write a separate post in detail about Ephesus so stay tuned!) is the prayer wall that you see in the picture above. 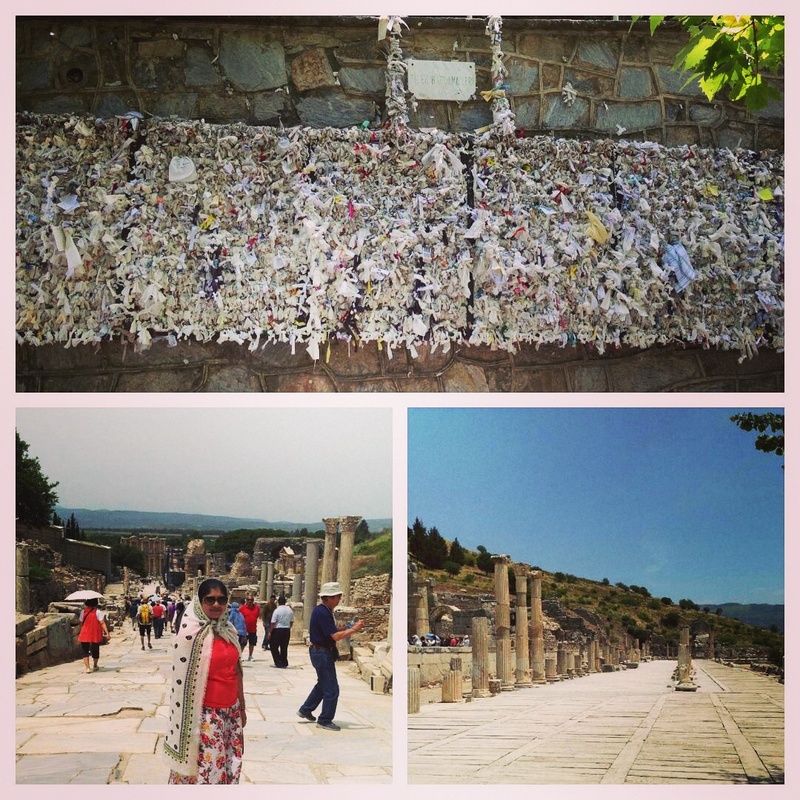 People from all over the world visit Ephesus every day and write down their prayers on paper scraps and put it up on the prayer wall. It is hard not to be moved by this site and sight regardless of one’s religious views. « Photo A Day: D for….. Remember, that I wrote one too. I also enjoyed eating those huge cherries right after the church visit.